Hanoi (VNS/VNA) - Vietnam’s steel industry is facing 47 anti-dumping and anti-subsidy investigations from importing countries, accounting for one-third of the total cases of Vietnamese goods, according to a report from the Trade Remedies Authority of Vietnam under the Ministry of Industry and Trade (MoIT). According to Pham Chau Giang, deputy director of the authority, steel is subjected to the highest number of trade defence investigations in the world because it is produced by many countries and is considered a product related to national security. “After the US, other countries such as Canada, Turkey and the European Union have also launched investigations to apply safeguard measures to the entire steel industry. That is not to mention the fact that other countries have increased the number of anti-dumping and anti-subsidy investigations of specific steel items and specific countries,” Giang said. According to the Organisation for Economic Cooperation Development (OECD), the global oversupply of steel was nearly 900 million tonnes in 2017, most of which came from China. For example, Giang said Indonesia had recently decided to terminate the application of safeguard measures on Vietnamese cold steel sheets after Vietnam sued the World Trade Organisation (WTO) for those measures, which Vietnam said violated WTO regulations. In addition, the MoIT has also cooperated with the Vietnam Steel Association and export enterprises to prove that Vietnamese exporters do not dump and do not receive subsidies from the Government. "Many investigation cases have been conducted, but not all are subject to taxes, so they still could export," he said. 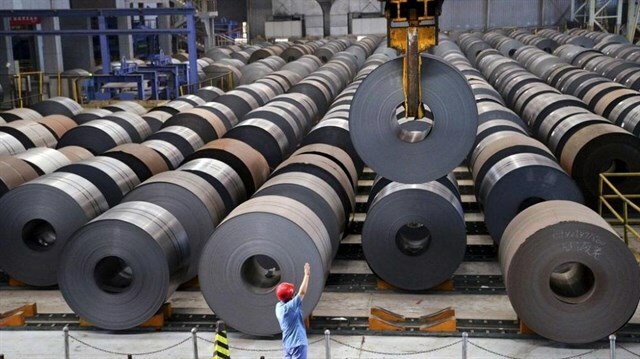 In the domestic market, Vietnam has taken action to protect its domestic market, which is facing pressure from China’s low-quality steel products, which are prevented from export by some countries but can spill over into Vietnam.